- Guide to the facilities, events, shops and parking. The Bon Accord Shopping Centre was opened in 1990 with over 50 shops such as Adams, Barratts, Bear Factory, Boots, Burton Menswear, Clinton Cards, Dolcis, Dorothy Perkins, Etam, Henderson The Jewellers, H Samuel, JJB Sports, John Lewis, New Look, Next, Orange, Ortek, O2T, Whittard of Chelsea, The Disney Store, The Early Learning Centre, The Gadget Shop, The Tie Rack, Thomas Cook, Woolworths, Vision Express, Vodafone and Wallis. On the upper floor you will find the food court restaurant and snack area which can seat over 500. The area is severed by many food outlets that sell a wide range of food from traditional Scottish cooking, Italian cuisine and American food. The public toilets can be found next to the food court restaurants. Disabled facilities throughout the complex include lifts and toilets. The Bon Accord has its own car park with over 1100 spaces. Alternatively use the Park and Ride facilities which will drop and collect you from the town centre. 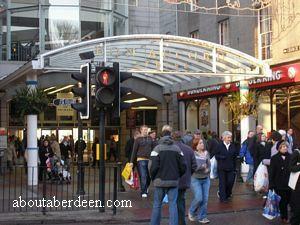 In August 2009 Next opened a large store in the top atrium of the Bon Accord Centre, Aberdeen next to the New Look shop. Read our John Lewis Review. Read our H Samuel Review. 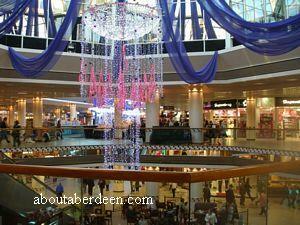 View the Bon Accord Shopping Centre Christmas Display Photos. Read our Coast Wedding Dress Shop. Fashion Festival Aberdeen takes place from Friday 24 to Saturday 25 September 2010 each day at the central atrium of the Bon Accord Centre. These fashion shows give shoppers visiting the North-east's premier retail destination this weekend the opportunity to view the latest seasonal must-haves on the catwalk at a top fashion event. Fashion Festival Aberdeen is hosted by the Bon Accord and St Nicholas Centres. The fashion festival will showcase the latest trends for autumn and winter to inspire shoppers and add a touch of glamour to their weekend shopping spree. Stores from both shopping centres are taking part in the Fashion Festival Aberdeen and include some of the latest arrivals such as Karen Millen, New Look, Lipsy and Scotland's biggest Next outlet. All the key trends will be on show which include muted metallic, kilts, capes and leather and will offer top style tips for fashion conscious shoppers. Cheryl Baer, Marketing Manager of the Bon Accord and St Nicholas Centres, says the shows will underline the centres' position as the top fashion destination of choice for big brand retailers. This year alone we have seen 15 high profile store arrivals in our centres, many of which are flagships in the North-east including Hobbs, Kurt Keiger and Jo Malone. As well as inspiring shoppers with the latest season looks, our weekend fashion event will celebrate the range and depth of choice on offer which is unrivalled across the region. Shoppers visiting the Bon Accord and St Nicholas centres over the weekend can expect a host of other fashion and beauty delight including free giveaways and an invite into the More Magazine style booth. Fashionistas will also be treated to free makeovers and shown the latest looks for the season by beauty experts from Boots, John Lewis and The Body Shop. With the Bon Accord and St Nicholas centres seeing the arrival of so many top brand names over the past year it is clear that Aberdeen is seen as the up and coming fashion capital of the North. With everything we have planned for the weekend-long event we hope to create the ultimate fashion experience for our shoppers. Whether you're looking for wardrobe inspiration from the catwalk or simply wanting to find out the latest fashion and beauty trends for the upcoming season, there is sure to be something for everyone. For further information about the hotly anticipated fashion festival please visit www.aberdeenfashion.com. The Bon Accord shopping centre have their own mascots. They are the loveable duo of MacHappy and MacHuggy two larger than life cuddly characters as you can see from the photograph. MacHappy and MacHuggy often wander the upper and lower malls making friends with children and sharing a cuddle. TV viewers can see the Aberdeen mascots on the seasonal adverts for the Bon Accord Centre on Scottish Television, such as the Christmas ads. 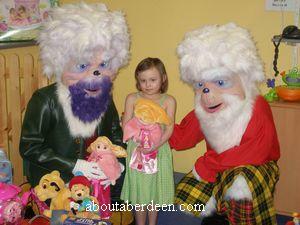 MacHappy and MacHuggy do charitable good deeds around Grampian on behalf of the Bon Accord Centre Aberdeen. For example they often visit the Royal Aberdeen Children's Hospital to donate toys to the children�s communal play area, kindly donated by The Disney Store and to visit the kids to cheer them up. In a recent visit in February 2007 MacHappy and MacHuggy donated over 30 items including a Lightning McQueen car from Disney animation Cars, pirate ship, soft toys, Barbie horse and carriage and Cinderella suitcases from The Disney Store. The photo above is 5 year old Eleanor Donald receiving gifts donated by the Disney Store from Bon Accord St Nicholas Centre mascots, MacHappy and MacHuggy. The Bon Accord St Nicholas Shopping Centre has reported a successful start to the New Year following on from a thriving festive season. As the January sales continue, trade at stores within the centre remains brisk with shoppers flocking to pick up post Christmas bargains. Astute local shoppers are becoming adept at thinking ahead according to research by YouGov, which states that 14% of people in Grampian will start shopping for Christmas 2007 in the January Sales. 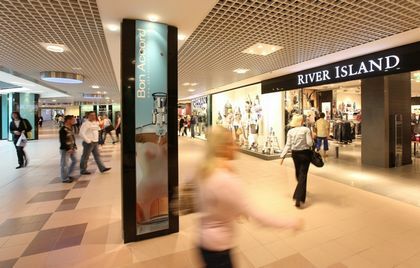 "In the run up to Christmas trade was brisk with 1.8 million visitors to the Centre in the last 8 weeks of the year. We saw an increase in Saturday footfall of 33% compared to that of a normal Saturday, and our car parks were extremely busy throughout the peak period with 85% of cars staying between 3-4 hours. 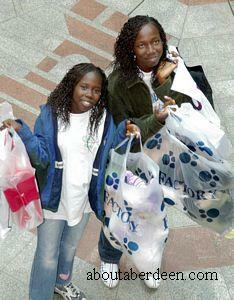 "Between Christmas and New Year this trend persisted with a footfall of 44,000 being recorded on Boxing Day. As the sales continue in the majority of retail outlets in the centre January is proving to be a positive period for custom, with many people taking the opportunity to purchase some of the great bargains on offer." "We have consistently achieved record breaking sales in Aberdeen throughout 2006. In the first 49 weeks of this year the store exceeded its turnover for the entire year, with sales passing a landmark sterling figure for out first time ever during the post Christmas sales period." "We are delighted with the performance of the Bon Accord St Nicholas Centre over the Christmas period and into January. With shoppers making the most of the continuing January sales, it signifies that there is a buoyant economy in Aberdeen and the North East." 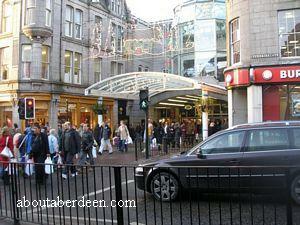 Over 45,000 shoppers are expected to head for the Boxing Day sales in Aberdeen City�s Bon Accord St. Nicholas Shopping Centre on Tuesday 26 December 2006. Although the Scottish Retail Consortium has stated that retail sales figures are down this year the Aberdeen Bon Accord St.Nicholas Shopping Centre has reported "brisk trade" during the festive season. "With retail outlets in the centre, such as Next, opening their doors early on Boxing Day, it will definitely be an early start for the bargain hunters. In keeping with the national trend, January sales seem to have arrived a month early this year, and there are some great bargains out there for December shoppers.  Many of our outlets have up to 50% discount." Frank continues: "Shopping figures during the festive period have seen an increase in Saturday footfall of 33% compared to that of a normal Saturday. We also have the largest animatronics display in Scotland with the centre mascots MacHappy and MacHuggy as the main characters. This is a huge draw for all ages of people, particularly families. The food court, cash machines and other facilities also entice shoppers to stay for longer." Boxing Day opening hours at the Bon Accord St. Nicholas Shopping Centre are 11am � 5pm. Since 2000 the Aberdeen Rotary Club have held an annual rotary club car raffle at the Bon Accord St Nicholas Shopping Centre. For 2006 tickets will be on sale from Tuesday 21 November until Sunday 24 December 2006 and shoppers have the chance to win a brand new red Mini One which is worth in the region of �11,000. The car is usually parked just outside the Bank of Scotland within the Bon Accord shopping centre, in the lower mall of the shopping centre�s central atrium, to entice Aberdonians to buy a rotary club car raffle ticket. Each raffle ticket is �1 and the draw for the car will take place on the afternoon of Christmas Eve, so someone is going to get a great Christmas present this year! �This year we hope to raise somewhere in the region of �30,000,� explains president of Aberdeen St. Fittick�s rotary club, Mr Ian Kerr. �The main beneficiary of the funds collected will be the Aberdeen based charity UCAN, which aims to improve the quality of life for people and families living with urological cancers in North of Scotland. �Other charities supported by the rotary clubs in the north east of Scotland district will also benefit from the total collected over the next few weeks,� adds Ian. John Reynolds, the Lord Provost of the City of Aberdeen will draw the sixth annual rotary club car raffle at 4pm in the lower mall of the Bon Accord St. Nicholas Shopping Centre on Sunday 24th December 2006. "We have sold in the region of 35,000 raffle tickets with proceeds from the sale of the �1 tickets going to the Aberdeen based charity UCAN, which aims to improve the quality of life for people and families living with urological cancers in North of Scotland as well as other charities supported by the rotary clubs in the north east of Scotland district. Mr Kerr continues, "I wish all entrants the very best of luck and would like to thank everyone who has bought a ticket including shoppers at the Bon Accord St. Nicholas Shopping Centre, for supporting such a worthwhile cause." Shoppers in the Bon Accord St Nicholas Shopping Centre this Christmas will be in for a treat as Costa Coffee opens on Monday 11 December 2006. Costa Coffee is an ideal place to rest weary feet and reflect over the day�s purchases. Costa Coffee is a welcome addition to the Bon Accord Shopping Centre�s new look central atrium. The perfect pick-me-up, Costa Coffee will be offering the full range of foam topped and steaming delights to warm festive shoppers. Whether you long for a latte or crave a cappuccino, a host of coffees to suit all tastes are available. Seasonal treats include gingerbread and tiramisu lattes alongside Mint Hot Chocolate with the optional topping of chocolate cream. With Turkey and Stuffing sandwiches and Paninis, traditional mince pies, and orange and cranberry muffins all on sale, shoppers can be certain of a festive feast. "We are thrilled to be moving into the Bon Accord St Nicholas Shopping Centre and feel Costa Coffee will provide an ideal meeting place for customers. As the temperature falls outside Costa Coffee is sure to be more popular than ever. Moving from our previous location on Loch Street, shoppers need not even step a foot out of the door to enjoy the perfect cup of coffee. With seating for 69 including soft leather couches, the Costa Coffee area will provide a calming atmosphere amongst the chaos of Christmas shopping." "Costa Coffee is a very welcome addition to the Bon Accord St Nicholas Centre. With a wide range of food and drinks on offer we�re delighted to be able to offer our customers somewhere to relax whilst enjoying a shopping trip." Aberdeen shoppers will be offered leaflets on how to stop smoking by a giant cigarette when they visit the Bon Accord St. Nicholas Shopping Centre on the 14 March 2007. This is just one of a multitude of events to be held throughout Scotland and the UK as part of No Smoking Day 2007. Support and information leaflets will be provided by representatives of Aberdeen City Council�s Environmental Health Department alongside the giant cigarette, nicknamed the Big Cig, from 11.30am to 1.30pm at a stand situated in the in the lower mall of the Bon Accord Shopping Centre. No Smoking Day is now in its 24th year and is organised by a London based charity of the same name. The charity is funded by a coalition of governmental and voluntary sector organisations with an interest in health. No Smoking Day aims to help people who want to stop smoking by creating a supportive environment for them, and by highlighting the many sources of help available. "Although the theme for this year's National No Smoking Day Campaign is "Make a Fresh Start", we are actively promoting the anti-smoking message not only to those of smoking age but by educating children on the harmful effects associated with taking up smoking. If we can get our message across to school children then they are hopefully less likely to take smoking when they become adults." "We are always keen to promote healthy living at the Bon Accord & St. Nicolas Shopping Centre and I fully support people�s efforts to stop smoking. Of course the centre has always had a no smoking policy but as we come up to the one-year anniversary of the introduction of the public smoking ban in Scotland, I expect we will see more people than ever make the effort to stop smoking." Generous staff at the Bon Accord St. Nicholas shopping centre have raised over �1,000 during the festive period to be donated to local charity Kids Action, whose mission is to help orphaned children in Malawi and Sierra Leone. Alison Light, the Bon Accord St. Nicholas Shopping Centre Operations Manager, organised the raffle by collecting prizes kindly donated from many of the centre units, such as a years free car parking, wine and digital cameras, and sold raffle tickets at �1 a strip (5 tickets) to staff. 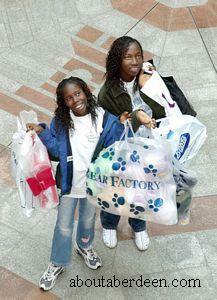 The Bon Accord St. Nicholas Shopping Centre staff originally provided a special welcome to two orphans from Sierra Leone in April 2006, by treating them to an all-expenses paid shopping spree in the centre and wanted to continue to support the charity by raising funds. "When Mariama and Rosemarie visited us in April, under the generous funding of the Rotary Club of Aberdeen St. Fittick and organisation of Kids Action, all the staff were touched by their sad stories. The money raised by the raffle will be used to give the 23 children in the orphanage good nutritious breakfasts for one year before they go off to school." Alastair Brodie, Director of Kids Action and Chairman of the International Services Committee of Rotary Club of Aberdeen St Fittick, says, "The Bon Accord St. Nicholas� generous donation to Kids Action will be gratefully received and will go a long way to providing the basics for orphans such as Mariama and Rosemarie. We are extremely grateful for the centres continued support." Staff winner Steven Elphinstone, of Vision Express, claimed the first prize of a years free car parking. A tap dancing turkey and an 8ft penguin made entirely from balloons, are unusual sights to behold in Aberdeen. But these are exactly the kind of delights that are set to entertain Christmas crowds of shoppers at the Bon Accord St Nicholas Shopping Centre in Aberdeen City. As Festive Aberdeen continues its series of seasonal events throughout the city, the centre will play host to a variety of characters, performers and musical talent for two consecutive weekends (Saturday 9 � Sunday 10 December and Saturday 16 � Sunday 17 December 2006 ). From Rudi the Reindeer to the Festive Seagulls, an array of incredible creatures courtesy of Aberdeen City Council, are sure to cheer festive shoppers. Two of Santa�s Elves will be taking some time off preparing for the seasonal rush, and offering the chance to test how virtuous you have been this Christmas with their "Goodometer". Whilst Bruce Airhead will entertain the crowds with his performance inside a giant balloon and Betty Twinkle and the Fairy will be sure to spread a little magic dust over the festivities. John Lewis will set the stage for a wealth of musical performances to put shoppers in a melodic mood. Local talent such as the Granite City Chorus and the City of Roses will be providing beautiful harmonies whilst Aberdeen Shetland Fiddlers and David Anderson will bring rousing renditions of traditional tunes to the weekend�s proceedings. "With the sense of Christmas spirit in the air it is great to be able to provide our shoppers with entertainment over the coming weekends. From an array of musical talent to unusual performances and entertaining characters there�s something for everyone." With the festive season truly upon us for most people Christmas Shopping is at the top of the agenda. Shoppers are expected to spend an average of 15 hours making their festive purchases according to research by the Evangelical Alliance. For those wishing to save time this merry season, the Bon Accord St Nicholas Shopping Centre in Aberdeen provides the answer to all those gift shopping dilemmas. Whether it�s a special present to delight your loved one or stocking fillers to cheer the children on Christmas morning, the centre has all your festive needs covered with a variety of stores providing ideal gift solutions, sure to make Christmas shopping an effortless affair. "With Christmas just around the corner the centre is busier than ever with shoppers looking to complete their gift buying. With a vast range of retailers offering an array of products the Bon Accord St Nicholas Shopping Centre is the ideal one stop shop for every festive purchase." For the lady in your life Boots has everything from fragrances to fitness products sure to prove popular on Christmas morning. Classic perfumes such as Chanel No 5 and Calvin Klein Eternity are firm favourites alongside new fragrances such as Kylie Darling and Dolce and Gabbana�s The One. And for the fitness fanatic or those looking to kick start their New Year�s resolutions, a Pilates set, Yoga Mat and Gaiam Balance Ball are all available in store. For the fashionista in the family John Lewis has a wide variety of designer handbags certain to please. From Guess to DKNY, Liz Claiborne and Radley amongst the vast collection of arm accessories an ideal gift for any super stylish female is sure to be found. Boasting a variety of the most contemporary gadgets and devices, Dixons is sure to stock the ideal gift for the man who has everything. Alongside the ever popular Apple Ipod the recently introduced Ipod Video, which allows you to watch movies or TV episodes alongside playing music and games, is proving a seasonal hit. Expected to be a top selling product of the year, the Xbox 360 is certain to delight any games master whilst a 20" Viewsonic LCD TV will ensure all his Christmas television viewing is picture perfect. Virgin has a variety of DVD bestsellers with Jeremy Clarkson�s "Clarkson � the good, the bad, the ugly" and Lost Series Two and Oasis�s Greatest Hits album is also a popular present for the rock star of the household. For teenagers The Carphone Warehouse has all your gift buying needs covered with a wide variety of contract and pay as you go phones to keep them talking. The Motorola V3 is a popular choice for boys, whilst the exclusive Pink LG Chocolate phone is a must have for girls alongside the Cath Kidson range for Nokia with designs in pinks and florals. For younger children a host of predicted top toys of the year are available at the Bon Accord St Nicholas Shopping Centre. For budding timelords pick up the Doctor Who Cyberman Mask at WH Smith, or delight a motor mad youngster with a remote controlled "Fast Talkin� Lightening McQueen" from the hit film "Cars" available from the Disney Store. The Tamagotchi Connexion V3 range is proving a major hit at Woolworths whilst the Pirates of the Caribbean Dead Man�s Chest DVD will keep young minds occupied over the seasonal period. And for girls choose from the array of Bratz Forever Diamondz products available from John Lewis, sure to raise a smile when pulled from a stocking on Christmas morning. Always a popular choice Thorntons has a wide selection of delectable treats to satisfy a sweet tooth. Traditional favourites such as the Continental Collection and Special Toffee and Fudge are ideal stocking fillers. Or if you�re looking for a gift with a difference the Champagne Chocolate gift set or the Dipping Gift set which includes toffee and vanilla fudge and a blissful chocolate fondue, are guaranteed to bring a sugar rush to the festive proceedings. John Lewis offers an array of sumptuous seasonal delights such as the "Make your own Gingerbread House" kit sure to be a favourite with kids large and small. With luxury chocolate selections, fine wines and liquor gift sets all available instore a host of tempting treats are on offer. For all your Christmas shopping needs the Bon Accord St Nicholas Shopping Centre has extended opening hours operating over the festive period. From Monday 18th to Friday 22nd December the centre will be open from 9am to 7pm, and until 9pm on Thursday (21st December). Opening hours on Saturday 23rd December are 9am to 6pm whilst the centre is open from 10am � 5pm on Christmas Eve. As Christmas 2006 approached in the Bon Accord Shopping Centre, countless children were looking forward to ripping off the wrapping paper to find a present from their list to Santa under the family Christmas tree. The Toy Retailers Association predicted the top selling toys which would be eagerly opened in Christmas 2006. But did shoppers at the Bon Accord St Nicholas Shopping Centre follow the trend or did they start their own craze when it comes to choosing the perfect children�s gift? "We have a host of retailers offering the top trends in children�s toys for 2006, ensuring that our shoppers will find the ideal present to put under the tree this festive season. The Disney Store is an ever popular location for shoppers hoping to pick up the perfect surprise to delight a child on Christmas morning. Predicted by the Toy Retailers Association to be a big seller, a remote controlled "Fast Talkin Lightening McQueen" from the hit film "Cars" is flying off the shelves. For boys the theme of turbo charged and electric continues with a "Pirates of the Caribbean" remote controlled "Black Pearl" proving extremely popular. Whilst best selling gifts for girls include a Sleeping Beauty Castle and Horse and Carriage and a Minnie Mouse Tea Set. For little superheroes the Early Learning centre offers the chance to save the world with a range of "Planet Protector" merchandise on sale. Alternatively let them create their own Christmas dinner and cook up a storm with the "Sizzlin� Kitchen" also proving popular with shoppers. Or the terrifyingly fabulous "Tower of Doom" with a working drawbridge and a dark dungeon is sure to keep young minds occupied this festive season. Predicted top sellers are abundant at John Lewis and Woolworths, with an array of Bratz Forever Diamondz Products available at both stores certain to bring Christmas cheer to little girls and the Tamagotchi Connexion V3 range proving a major hit for both retailers. A Playmobil Pirate Ship is also flying off the shelves at John Lewis, whilst the range of Hot Wheels miniature cars available at Woolworths, are providing the ideal stocking filler for shoppers. At WH Smith gifts to delight a budding scientist are being snapped up. A predicted top toy of the year, the Doctor Who Cyberman Mask which changes your voice is a must-have for any aspiring time lord. Whilst educational gifts from the Science Museum range of products, such as microscopes, experiments and robots, are sure to be a hit with any would-be Einstein. Although traditional game Trivial Pursuits is a predicted UK wide bestseller, local shoppers are starting their own trend and picking up the Aberdeen Monopoly board game where locations throughout the city replace the original landmarks of Mayfair and Bond Street." Centre Manager Frank Sutherland adds: "Our shelves are well stocked to deal with the Christmas demand and ensure our customers don�t miss out on any of the top buys this festive season." 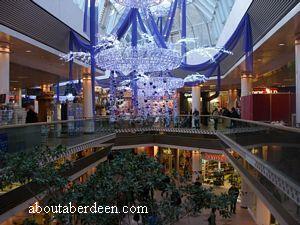 The Bon Accord shopping centre in Aberdeen City was built at a cost of �60 million. The �8.5 million contract for the structural work was awarded to Hall and Tawse. An inscribed foundation stone was laid by the then Lord Provost Robert Robertson in June 1988. In attendance were board members and Michael Davie the chairman of Bredero and Aberdeen City District Council representatives.